When you think of Sharam you think of one half of the legendary “Deep Dish” which included “Dubfire”; both artists have risen to the highest levels of quality electronic music. 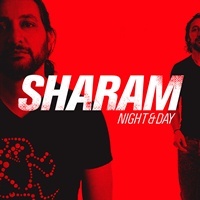 From production, to Djing, to pure entertainment, Sharam keeps it going with “Day” and “Night”. He lights up the introduction of the “Day” mix with a vibey boombastic track then leads into a wicked minimal groover. Prime selections and tight mixing is an understatement. Sharam’s ability to create syncopation within the structure of the tracks and in combination with his mixing is effortless. Soothing open air sounds infused with a steady crafted thump invigorate the set. By 17:00 minutes in you are reminded why you love 4, 4 electronic music. The “Day” mix continues to impress throughout and won’t be leaving your playlist anytime soon. Sharam’s second disc simply called the “Night” mix brings in a grittier electro intro that has more of a commercial feel. Second track chimes away with pianos and a vocal arrangement that could be alluring to a “clubbier” crowd. Unfortunately the “Night” mix doesn’t prove to showcase the contemporary feel that the “Day” mix had to offer. Bottom line is that both mixes will undoubtedly cater to the right ears as we are always graced by Sharam’s music.